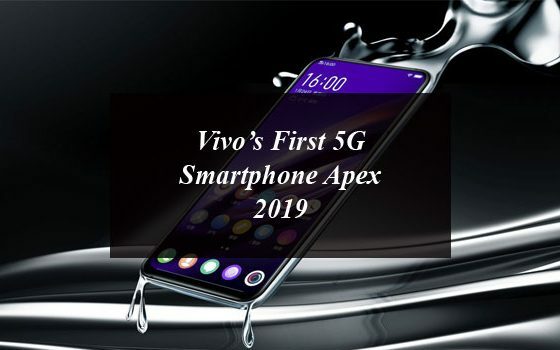 Vivo Company has introduced the first 5G mobile phone, with advanced features, latest technology and has been called the Apex 2019. According to details, China’s largest mobile company, Vivo has introduced its first 5G mobile phone with the latest features including the full screen fingerprint readers, a waterproof glass and it does not have a single port. The company’s senior vice-president, Spark Ni said that Apex 2019 is a truly exceptional smartphone and has been linked to a finger scanning option. Just like the Meizu Zero that launched yesterday, the Vivo APEX 2019 does not feature any physical ports or buttons. Vivo has officially introduced its new Apex smartphone in Beijing. This is the first 5G smartphone of the company with the waterdrop glass design, has no holes, and its screen is basically equipped with the Touch Sense technology, which brings together capacitive touch and pressure-sensing. The vice president said that the company has made this smartphone by making the users’ ease and the future of smartphone design and development. Vivo will be putting the handset on display at next month’s Mobile World Congress (MWC) 2019 in Barcelona. APEX 2019 introduces a sleek and truly FullViewTM design that’s almost completely bezel-less. The phone actually has a 3D glass back which is home to a dual camera setup that’s placed vertically in the center. It makes use of Qualcomm’s X50 5G modem. It has a Qualcomm Snapdragon 855 processor and 256GB of expandable storage with the 12GB of RAM and onn board storage is at 64 GB. There’s no headphone jack or a Type-C USB charging port as the Apex 2019 by Vivo does not have a single physical port or buttons. For charging the users need to use the rear-mounted magnetic connector that will also be responsible for data transfers. Vivo Apex features a 5.99″ (15.21 cm) display with a 1080 x 2160 pixels of screen resolution. It is powered by the 2.8 GHz Octa core processor and runs on Android v8.0 (Oreo) operating system. The handset is said to feature pop-up selfie camera and is powered by the 4000 mAh battery. The price of Apex 2019 is round about 1 Lakh in Pakistan. What’s New in Samsung Galaxy S8 Smartphone? Vivo’s First 5G Smartphone Apex 2019 Includes Full-Screen Fingerprint Reader and Not a Single Port. 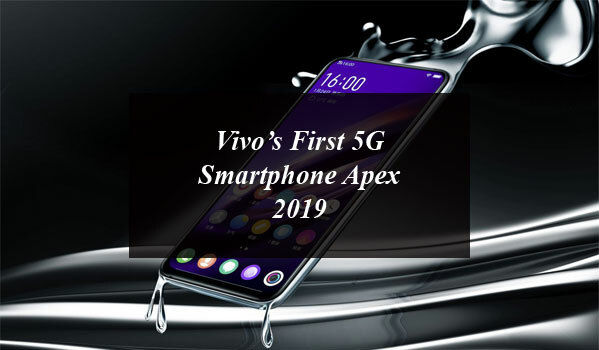 Vivo Company has introduced the first 5G mobile phone, with advanced features, latest technology and has been called the Apex 2019.